Back in 1995, I discovered the World Wide Web. I learned how to write HTML code and I launched my business, Creative Eye Marketing, in Miami, FL. Back then, if someone who didn’t know code, tried to edit their website, it was very easy for them to totally mess it up by accidentally deleting one little character. Now, anyone can build a website! With online services like Weebly, Wix, Blogger, Tumblr and of course WordPress, you can have a free website! Wow! However, all these are free to a point. As soon as you want to customize the look, get your own domain name, add extra pages, widgets and fancy stuff, you have to pay and pay and pay. 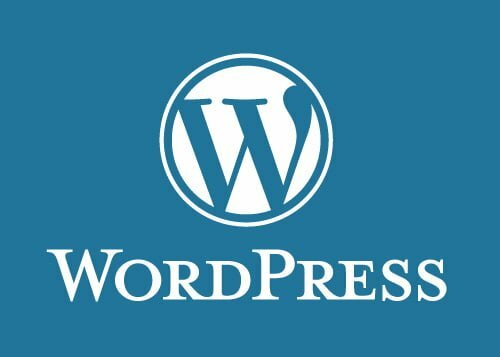 It’s actually more cost effective to get your own hosted website with WordPress installed. Hosting plans start at just a few dollars a month and WordPress has tons of free, customizable templates (themes) and plugins to make yourself a really nice, functional website. Sure you can build it yourself and save money, but you may need someone to show you how to do it. Once it’s set up, it’s very easy to manage and blog on a regular basis. I like it because of the free plugins that make it easy to automatically share your blog posts with your social media networks, optimize them for SEO, add widgets to make it easy for people to follow you on social, subscribe to your email list, and stay longer on your website – which is what you want! The longer a visitor stays on your site, the better the chance that they’ll become a customer or at the very least, a follower. It really helps to Define Your Target Market before you start all this, so we have a free workbook to help you do that. Click here to download. Next > Next post: Video Q&A: Is There a Business that Doesn’t need to be on Social Media?